Jesse Eisenberg and Kristen Stewart star as a stoner couple targeted for extermination by the Government because one of them (Eisenberg) is actually a government agent. However, he turns out to be highly trained and deadly. Imagine The Bourne Trilogy mixed with a Seth Rogen comedy and you’re more or less there. Pharrell Williams produced most of the soundtrack for this coming of age dramedy about a young geek growing up in a tough neighbourhood. An invitation to a ‘dope’ party offers him a chance to finally break free of his nerdy persona. Statham is out and Ed Skrein is in as cinema’s baddest delivery man Frank Martin in this half-reboot half-sequel, which sees Martin take on a Russian kingpin and some rather attractive ladies. Tom Hardy and…erm, Tom Hardy star as Reggie and Ronnie Kray in this biopic of London’s most notorious criminal siblings. The latest instalment in the teen-fiction ‘saga’ sees the Gladers, fresh from escaping the Maze in the first film, facing more adversity in a desolate landscape. It’s tough being a teen! M Night Shyamalan directs this horror comedy about two kids who visit their grandparents, only to find that Granny and Grandad start acting incredibly strangely after 9.30pm. The team behind the surprisingly brilliant Horrible Histories tackle the lost years of Shakespeare, with young Bill Shakespeare leaving home to follow his dream. Expect wackiness. Jake Gyllenhaal, Keira Knightly and Josh Brolin are among the poor climbers who get caught up in a snowstorm atop Mt. 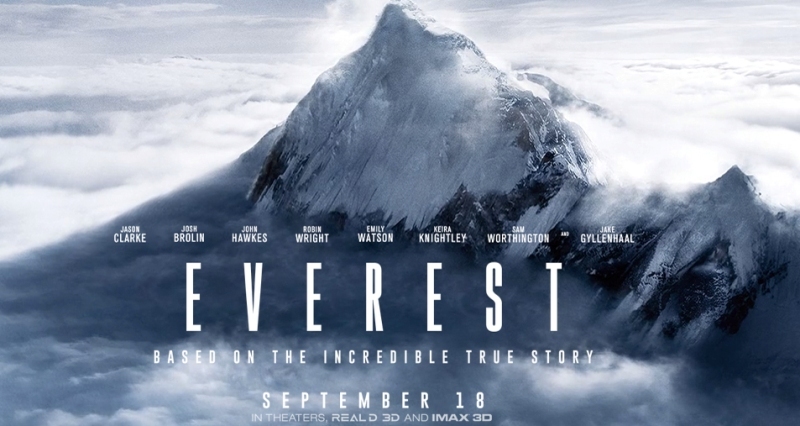 Everest in this big budget disaster flick. An exploration into the life and times of one of Canada’s finest bands. A must see for fans, and interesting for casual listeners too! Matt Damon stars in this space drama about an astronaut stranded on Mars. With supplies running low, astronaut Mark Watney has to figure out how to live and let those on Earth know he’s still alive. Meanwhile his crewmates and NASA plot a daring rescue mission. Ridley Scott directs, while Jessica Chastain and Kristen Wiig co-star. Need cash to check out the latest cinema and DVD releases? Sell your DVDs with musicMagpie! Just click below to get an instant price.